BT generated a massive £160 million for the Derbyshire economy in the past year, according to an independent report published today. The report, by Regeneris Consulting, also shows that the communications company supports more than 8,000 jobs in the East Midlands – of which more than 2,000 are in Derbyshire - through direct employment, its spending with contractors and suppliers and the spending of employees. In employment terms, BT’s impact in 2014-15 was larger than the region’s research and development sector. Around £121 million was spent with regional suppliers. The overall beneficial financial impact of BT activities is expressed as a “Gross Value Added” (GVA)* contribution. For the East Midlands the BT GVA totalled £624 million – equivalent to £1 in every £140 of the region’s total GVA – of which £160 million was in Derbyshire. “We are one of the region’s largest private sector employers and investors – our investment in fibre broadband in the East Midlands alone amounts to hundreds of millions of pounds - and the services that we provide are a vital part of every community. ‘Social Study 2015 – The Economic Impact of BT in the United Kingdom’ analyses the key role BT people play in economic, business and community life across the English regions, Scotland, Wales and Northern Ireland. 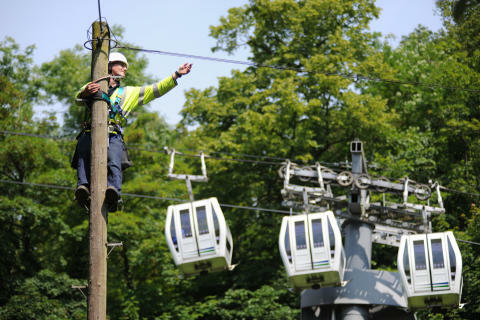 It highlights the positive contributions made by BT through the salaries and wages of employees and contractors, and the beneficial impact of its procurement and overall expenditure around the UK. Has enabled more than three-quarters - 77 per cent - of its employees to work flexibly. BT is investing more than £3 billion in the roll-out of fibre broadband in the UK through its own commercial programme and by working with the Government and local authorities in broadband partnerships to extend next generation broadband even more widely – especially to more rural and remote communities. In the East Midlands, BT is the major private sector partner in broadband partnerships in Derbyshire, Leicestershire, Lincolnshire, Nottinghamshire, Northamptonshire and Rutland. Through these partnerships and the company’s commercial roll-out, BT has already made fibre broadband available to more than 1.7 million homes and businesses across the East Midlands – and this number is continuing to grow rapidly. The report also highlights how BT is consistently one of the country’s leading investors in innovation with spending on research and development in the 2014/15 financial year reaching £502 million. Among the latest developments, the company has started trials of ultrafast G.fast broadband, which is already delivering download speeds up to 330 megabits per second (Mbps). This new technology will be rolled out to 10 million UK homes and businesses by the end of 2020 and the majority of premises within a decade. Volunteering is also a core element of BT’s strategy. Last year, BT people in the East Midlands contributed more than 2,000 volunteering days to worthy causes, amounting to in-kind support of nearly £670,000. Across the UK, the figure is 50,500 days, worth more than £15 million. In addition, MyDonate – BT’s commission-free online fund-raising service – has helped to raise more than £1.1m for charities across the East Midlands. UK-wide, BT’s total GVA contribution is assessed at £18 billion. The company supports 217,000 jobs directly and indirectly and last year spent £6.5 billion with UK-based suppliers. As a result of the full economic impact of BT, the firm supports £1 in every £80 of GVA in the UK economy and one in every 110 UK employees.